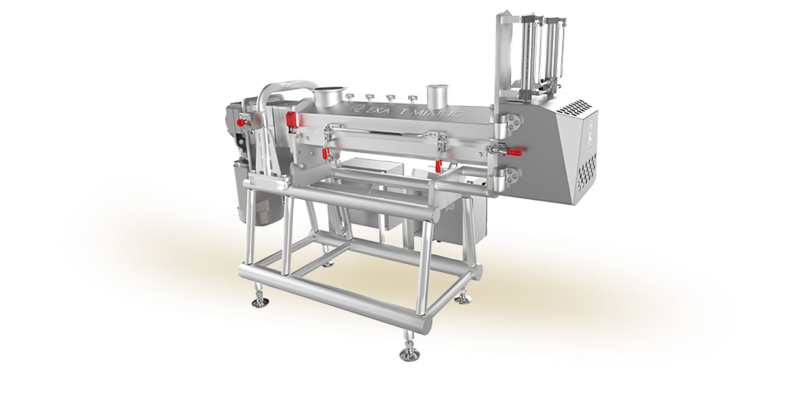 The LDX Continuous Mixer combines all ingredients except flour in the creme up stage. In this stage, special mixing elements cut the fat into the other ingredients. The flour is added before the development stage where the final dough is created. This mixer is ideal for most types of cookies or any application where ingredients are blended before the flour is added. The ability to accurately and consistently meter ingredients into a continuous mixer is critical to the quality and consistency of the product at the mixer discharge.The critical parts of the metering system- metering device, device control, and system recipe controls – must work seamlessly together. We understand the increasing demands you face to ensure safety, sanitation, and compliance. Our SafeShield Program combines cutting-edge design and manufacturing practices with an unwavering commitment to safety and sanitation.